There is a revolution taking place in the business world today and thought leaders in their industries are jumping in early. 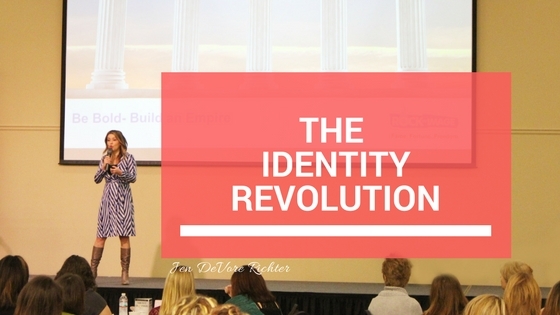 At Boss Women Rock, we have coined the phrase, “Identity Revolution” to describe it. The line between industry expert and media personality is blurred resulting in the new Identity Revolution in marketing. As internet technology makes it easier for you to build a platform AND business, leading media personalities adopt business building skills from entrepreneurs and entrepreneurs adopt brand building skills from leading media personalities to leverage their personal clout into business success. You’ve seen this happening by the likes of Barbara Corcoran and Daymond John on Shark Tank, Dr. Oz, and by YouTube sensation beauty expert Kandee Johnson. By hosting a podcast, writing books, and sharing content, I am actually doing it too! Whether you’re currently working in media as on-air talent and looking to build your own brand based empire OR a local high level business owner looking to leverage your clout into new opportunities, the concept of becoming a Rockstar Professional is important for you to know. 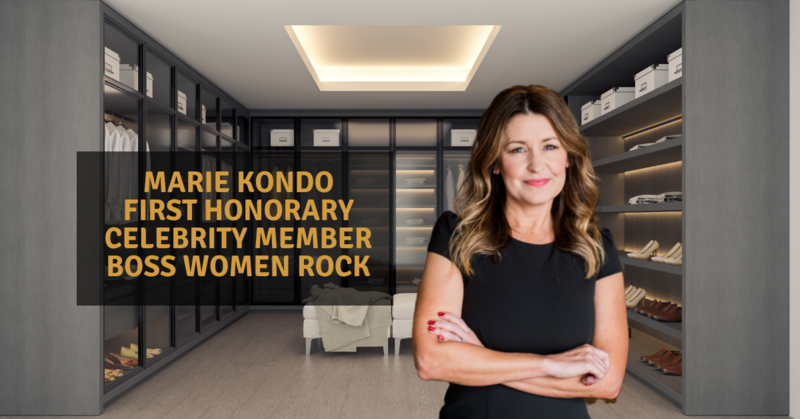 My focus is on inspiring and empowering those with the attitude, expertise, and drive to thrive as the authority in their industry so they can enjoy new levels of freedom and fulfillment. The concept of the “Identity Revolution” is important to know about so you can be current on new marketing strategies. 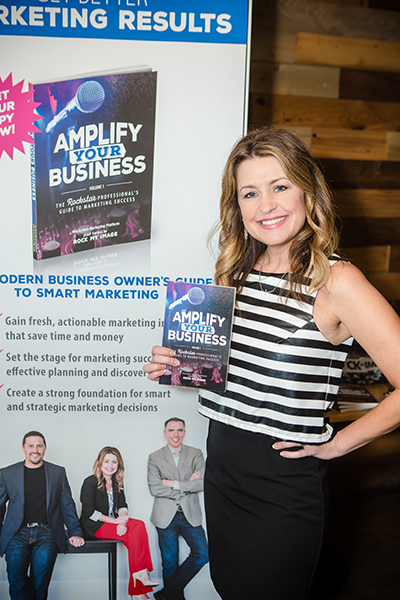 I want to caution you to not let the superficial thrill of being “famous in your industry” make you lose sight of why this type of business growth system may or may not be for you. It is for you if you have a positive and uplifting message to share with the world and you want to gain control of your business or career so you have the freedom in your life to spend your time with the causes and people that really matter to you. Do you have what it takes to become a Rockstar Professional? I seek to effectively communicate my message and impact others positively. As a leader, I know it is important to make time to work “on” the business and not just “in” it. I am committed to doing whatever it takes to reach my goals. I am at the top of my industry and can back up my expertise with education and training. My peers respect and value my opinion. My reputation is excellent. My approach is unique, makes and impact, and is highly sought after. When I make decisions about my business, I consider the long term big picture. When I set my mind to something, I see it through to the end. Nothing can stop me from achieving my dream. Congratulations! If you selected one or more questions then you have the formula to succeed! ATTITUDE – at what level are you willing to put yourself out there and share your ideas? EXPERTISE – do you have all of the skill and knowledge you need to be a thought leader? DRIVE – how committed are you to achieving your bold vision? People do business with people they know, like, and trust. 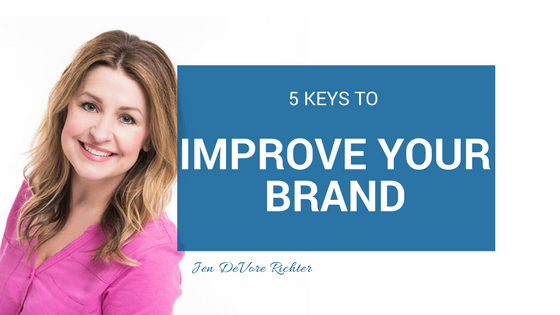 If you are a business owner or executive trying to stand out in a crowded marketplace or workplace, then you absolutely must develop your personal brand to communicate your unique value. The best way to do this is to be or become THE expert in your industry on a specific topic. Plus, as the business environment changes rapidly, so do our product and service offerings. We must be able to adapt to new customer demands. What is needed one day, may be out of demand the next. So, building a personal brand is an important step to being able to quickly adapt. Now, most people think that a brand is just a logo. This is a common misconception. A logo is only a very small part of a brand. Imagine an iceberg. In your mind’s eye, picture the tip of the iceberg above the surface and the majority of the iceberg below the surface. In brand development, the logo is the tip of the iceberg. A brand is so much more than a logo. That is where the 5 Chords of Branding come into play. Recently, I was speaking to one of my clients who is an aspiring speaker on the topics of Leadership and Customer Service. We will call her Michelle. 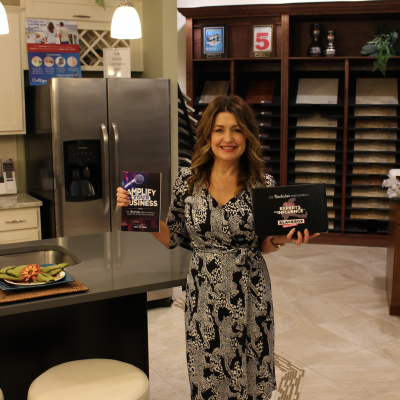 Michelle has a successful business in the real estate industry and has spent the last decade or so building the business brand. She is a well known workshop leader in her industry but, now she seeks to take her knowledge of leadership and customer service and transition into becoming a keynote speaker on the main stage at sales conferences in different industries. She needs to develop her personal brand to make this bold vision come to life. Your goals may not be to move onto the main stage at a big national sales conference. Your goals may include expanding your service offerings to offer community workshops or your own events. The point is that you never know where your career will take you and what opportunities are in store for you to share and inspire, and building your personal brand is the foundation for those dreams to become a reality. A brand is comprised of 5 key elements, or chords, as we like to call them at Boss Women Rock. Values – this is probably the most important aspect of a personal brand. What do stand for? What do you stand against? By identifying and communicating your values in your marketing you will attract like minded customers, partners, and supporters. Your community will begin to form and your work will be more fulfilling and purposeful because you will be true to yourself. 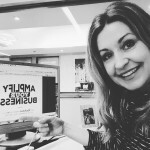 Style – your visual style is important to develop so that you’re putting your best foot forward and able to stand out in a crowded marketplace. The includes the colors associated with your brand, the photography style, even what you wear! Message – what is your message? What you say is important in brand building, but also important is how you say it. What is the tone of your message? Are you funny like Ellen Degeneres or thought provoking like Oprah? Experience – how do people feel when they interact with your brand? Are they inspired, pampered, empowered? Think about all the ways one interacts with your brand and ensure they customer experience is consistent with your values. It Factor – many people think the “it factor” is something you are just born with. You either have it or not. Like a famous Hollywood celebrity, they were destined for greatness. You may feel like success is for other people. But, the truth is- you have “it factor” too! We all have unique talents and gifts that deserve to be shared with the world. Your quirks are what make you different, and in business different is good! Because once you have your 5 Chords established, the brand development process starts to come to life! You will build a business that is a reflection of your true self. Being confident in who you are and able to communicate it is the first step to being seen as the expert in your industry and financial freedom. The main takeaway here is that you never know where your business will take you. So you need to be confident in your personal brand. Because it’ll be the foundation for your business dreams to become a reality. These celebrepreneurs stand out because they have established themselves as the authority figures in their industries by not only being successful business owners, but also media–savvy marketers. As a consumer, there are a sea of options in every field—from legal services, business coaching, health and wellness, and more. Now, instead of wading through the pile, consumers do business with companies that have high profile leaders and emulate those whom they look up to in media. This movement impacts nearly every industry, including yours. 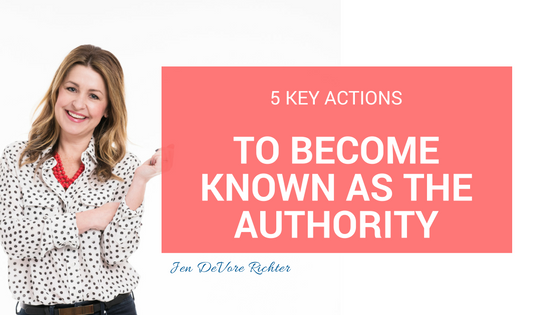 If you would like to separate yourself from the competition and earn attention as THE authority in your industry, you will want to master the 5 key actions savvy entrepreneurs take to become known as the expert in their industries through authority marketing. Develop a unique, credible, and authentic personal brand that will position you as an industry authority. Begin by determining what sets you apart from your competition. What’s your unique point of view, values, and proven process? I work with __________________________ who want to ___________________________ so they can ____________________ and _____________________. 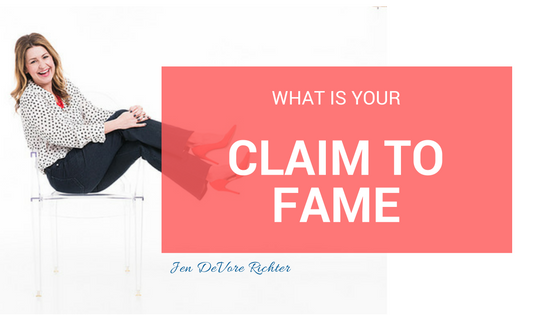 Additionally, identify your Claim to Fame, which is the thing that only you have done or can do. The goal is to create content that will provide value and attract new customers. Your aim should be to build an audience using original content, such as videos and blog posts. Incorporate lead magnets into your content marketing plan. Lead magnets are a way to build your email list by providing valuable content to your audience for free in exchange for their email address. This is important because you will nurture your prospects through time, build trust, and grow your online sales funnel. Boost credibility and establish your place as an industry expert through media coverage and placements. Publicity and endorsements present you to your target audience as the better choice over the competition. Leverage all publicity by showcasing it on your website, social media, and other marketing collateral. 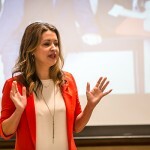 Elevate yourself to expert status and monetize your expertise through speaking engagements relevant to your industry. As an industry authority, your point of view must be unique and you must have a proven approach, compelling story, or experience. 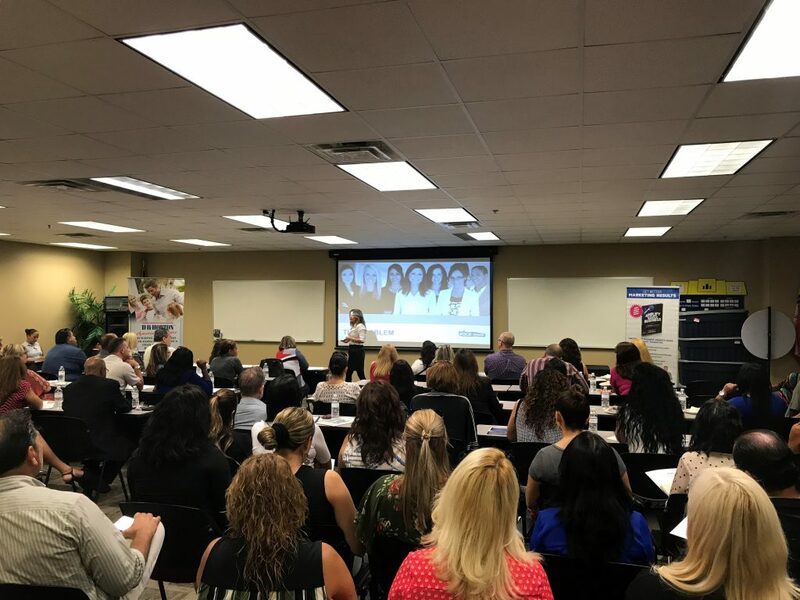 Business speakers are elevated to expert status when they approach these opportunities with professionalism and showcase a high standard of delivery that provides their audience with value. Action tip: Can’t find a stage to speak from? Make your own. Create your own events to boost credibility and reach new audiences. Self–hosted workshops, events, and retreats are a lucrative way to build expert status. Establish yourself as the go-to expert in your industry by accumulating your expert ideas and experience-based knowledge by developing an industry–specific book. Due to technology advances, business owners and experts can now self-publish instead of signing with large publishing houses. As an added bonus, book authorship complements public speaking and solidifies your credibility. If your competition is closing in on you, the best way to separate yourself from the pack is to establish yourself as THE expert in your industry. By capitalizing on your expertise, you can gain an edge and build a customer or client base that is loyal to you. 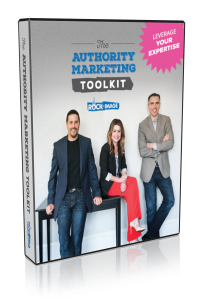 Someone in your industry is the authority, why not you? INTERESTED IN ELEVATING YOUR IMAGE TO CELEBRITY STATUS IN YOUR INDUSTRY? GET STARTED BY DOWNLOADING OUR PERSONAL BRANDING CHECKLIST. Hi! 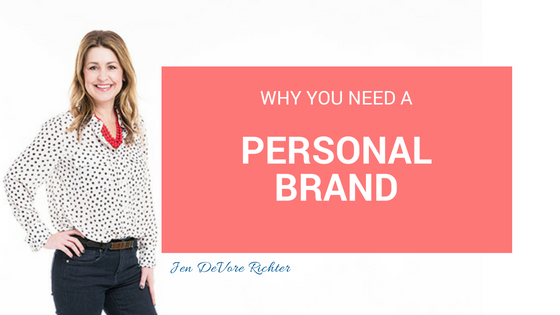 Jen here and the purpose of this video is to answer the question, “Why do I need a personal brand?” Well, you need a personal brand basically for one reason and that is to stand out in your industry, whether you work for yourself or you work for someone else. By owning and building and crafting and sharing your personal brand, you will be able to have better results at your career. The job that you have today may not be the job that you want in the future and if you can explain to people what your value is, what makes you different from your competition, what you are the best at and why people would want to hire you, then that is developing your personal brand and can move you from where you are today to where you want to be in the future. 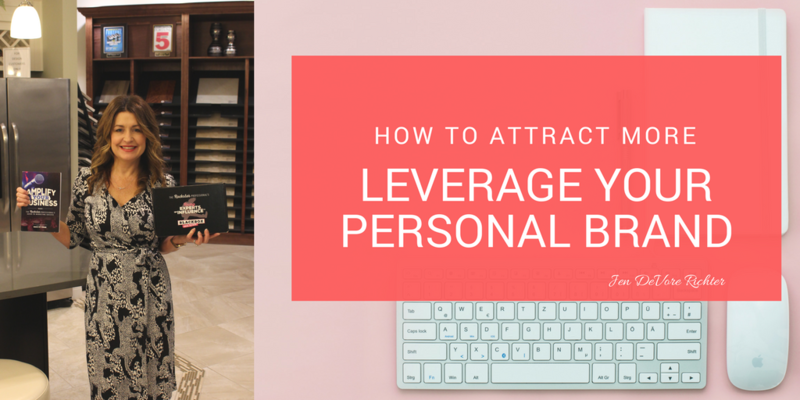 So if that sounds like something that is of interest to you, moving and building the life that you really want to have, not just living in the one that you have today, then building and creating a personal brand is right for you. Did you like this post? If so, please share it on social media to help others understand how to get stuck out of a career rut. Hey! It’s Jen and I wanted to take some time today to get you thinking about an important question that contributes to your personal brand and that question is, “What’s your one thing?” What do I mean by your one thing? Well, as a marketing agency owner, I often have interns from the local college come work with us for a semester and when I’m doing the interview process with them, I always ask them, “What’s your one thing? What’s the thing that you do better than anyone else?” and sometimes they scratch their head and they can’t really think about it or they just say something vague like, “I’m a creative person.” But that’s not a one thing, right? So I’m looking for someone to hire. If I’m looking for someone to bring into my agency, I need to know what’s your one thing. What is the thing that you do better than anyone? This is your Claim to Fame. And you might not even be like a complete total expert on it, but you might have a different way of doing it. You might have a unique approach. You might have a unique outlook and if that is true, then that’s your one thing. So I would encourage you, if you haven’t thought about what is your one thing, take some time to do that today and then leave me a note. Let me know. What’s your one thing? What are you better at than anyone else? I can’t wait to hear about it. Did you like this post? If so, please share it on social media. Video Transcript – Watch the Video HERE. Hi. Jen here. The purpose of this video is to answer the question, “How can I reinvent my career?” You may be in a job or in a career that doesn’t really make you that happy. You might not be waking up each morning full of passion and energy about getting to work and if that’s you, you may need to think about making a switch. I have personally done this. 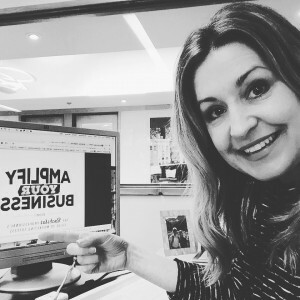 So while I’ve been a marketing executive and a marketing professional for over 20 years and a business owner for over 12 years, I have made changes in my career that make me happier. I first started out in Corporate America and I worked for some awesome brands. I worked at two television stations. I’ve worked at Kennedy Space Center. I’ve worked for a beautiful nonprofit that works with children in in-school programs, teaching them about the entrepreneurial spirit. I’ve also been a photographer and a business owner that way and also a marketing agency owner and while those jobs were related, they definitely required me to make a transition and I had four main things that I did when I wanted to make a change in my career and reinvent myself. Number one was that I learned a new skill. I took the time to take a class back at the college or at the community college, even though I already had a master’s degree. So it’s never too late to learn a new skill and I would encourage you to check out the online catalog at the community college and see if there is a class that inspires you that makes you want to make a change. The second thing that I did was that I connected with other people that I knew that were in that industry or in that particular career field. So for example, when I decided to shut my photography business down and make a move to being a marketing agency owner, the very first thing that I did was join the local Chamber of Commerce and that really got me connected with business owners and other marketing agency owners so that I could start to build my network. The third thing that I did was find a mentor. Even if your mentor is an online mentor or a program that is online or a series of videos that a person is sharing with you to help describe and share life experiences, it’s important for you to find a mentor. If that doesn’t work for you, I would encourage you to find a mentor in person. Maybe that’s in your town or that you can communicate with over the phone or over email. So that would be really vital to help you move and transition. The last thing that would be important to making a career move or a transition is to really do some self-assessment and some introspection into really what makes you happy and I don’t mean financially and I don’t mean by the job title that you have. What is going to make you happy are the things that you’re going to do on a daily basis, right? So if you’re making a lot of money and you have a fancy job title, but the day-to-day activities of your life and of your job aren’t making you happy, then it might be time for you to reinvent yourself. I would encourage you to really dig deep and really think about what is it going to take to make yourself happy. What do you need in your life to make yourself happy? So that’s it. Those are my four main things. Number one, go learn a new skill. Number two, connect with others that can help you in that new transition. Number three find a mentor, someone that can share insight or education about transitioning into a new career and number four, really do some self-assessment on what is going to make you happy. So I hope those tips help you with your process of reinvention. Did you like this post? Please share it on social media to help others with their process of reinvention.